Bill de Blasio was re-elected as mayor and will remain in control of our public schools for four more years, unless the Legislature amends mayoral control or allows it to expire in 2019. It was recently announced that Carmen Fariña, de Blasio’s hand-picked schools chancellor, will be leaving and a “national search” has begun to find her replacement. We urge the mayor to involve the public in the selection process, as he promised during his first campaign but failed to follow through on when selecting Fariña. Instead, he apparently plans a “quiet internal decision.” Yet by opening up the process, he would have the benefit of a wider choice of candidates, and by involving parents, he would be better able to ensure that the next chancellor is more responsive to their concerns. One of us is a long-time parent advocate and the other is the former president of the Community Education Council in District 2 in Manhattan – although what we say here only represents our own personal views. 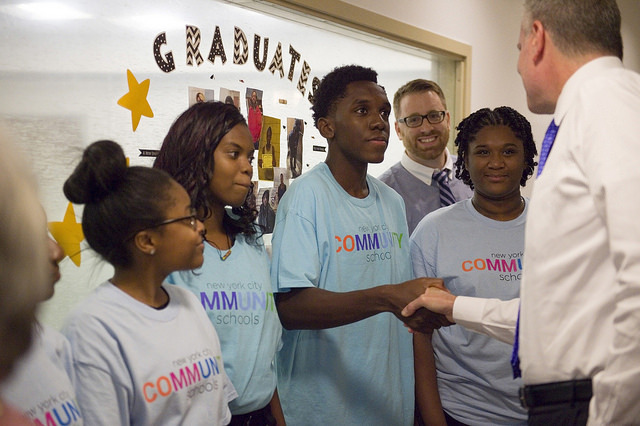 We are also members of NYC Kids PAC, which released a mayoral report card this fall, in which we gave de Blasio and his chancellor low grades in many education areas, surprising city residents who do not have children in the public schools. The reasons are myriad. The mayor continues to underfund our schools, and most schools still receive only 87% of the amount promised when the Fair Student Funding formula was devised ten years ago, despite increased costs and repeated city surpluses. This underfunding has contributed to larger classes and inadequate services at many schools. Meanwhile, the number of top-level administrators has nearly doubled, with 70% more spent on central staff bureaucracy than during the last year of the Bloomberg administration, and with 34% more spent on central staff expenses. The mayor renounced his earlier campaign promise to parents to lower class size, and the chancellor repeatedly stated in public meetings that she has been more concerned that classes can be too small -- despite the fact that New York City students continue to suffer from the largest classes in the state. The number of students in grades one to three in classes of 30 or more has increased by nearly 3,800 percent since 2007 and more than 290,000 students -- nearly one-third of the total -- are crammed into classes this large. The city’s refusal to act to lower class size prompted a legal complaint against the DOE, filed with the State Education Department this summer. Meanwhile, more than half a million students are currently attending overcrowded schools. With the student population growing in many parts of the city, the school capital plan will create only about half the seats required to alleviate overcrowding, according to the DOE’s own estimates. And while Mayor de Blasio has delivered on his promise to expand pre-kindergarten, the administration has pushed the program into many schools where it worsened overcrowding and contributed to larger class sizes. As more than 73 professors of education and psychology pointed out in a letter to the Chancellor Fariña, many of the benefits of expanded pre-K will likely be undermined because of the administration’s refusal to address the need to lower class size in other grades. Forty million dollars per year has been spent on consultants and bureaucrats to oversee the struggling schools in the Renewal program, many with records marked by scandal or found to be incompetent in previous positions. Though the DOE made special promises to the state to reduce class size in these schools, nearly three-quarters continue to have maximum class sizes of 30 or more; and in nearly half, average class sizes have not decreased by even one student. It is no surprise that by most accounts, improvements in these schools have not been impressive, with one-third facing or having already experienced merger or closure. Too often the chancellor has left administrators in positions where they have abused their authority. It took nearly a year of intense student protests before Rosemarie Jahoda, the acting principal at Townsend Harris High School, was removed, even after nearly every local Queens elected official asked for her dismissal. 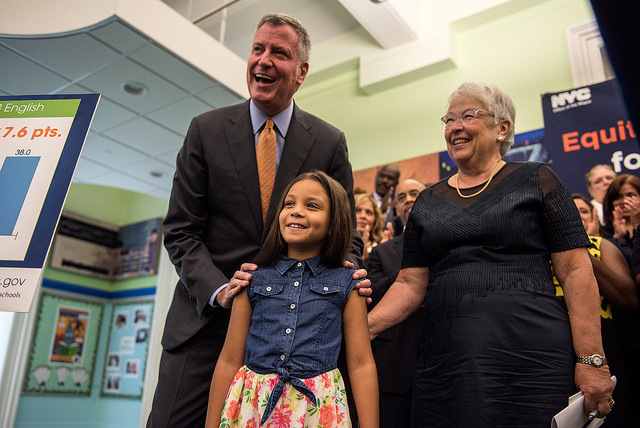 Chancellor Fariña was also deaf to the entreaties of parents at Central Park East 1 for over a year. They pointed out how their principal was violating the progressive and collaborative traditions of the school. In other instances, the chancellor left corrupt principals in place when they engaged in rampant fraud, including Kathleen Elvin, who remained the principal at John Dewey High School for nearly two years, despite numerous news reports exposing her schemes to inflate the school’s graduation rate. While running for office, Mayor de Blasio promised to lessen high stakes testing and make school admissions based on more holistic factors. Yet in 28 out of 32 districts, admissions to gifted programs are still based solely on a single high-stakes exam. The same is true for admissions to the eight specialized high schools, even in the five schools where this is under the mayor’s sole control; and too many other middle and high schools continue to use test scores as central factors in their screening process. Though de Blasio also promised to “develop a non-punitive process” to allow parents to opt their children out of standardized testing, the chancellor has failed to respect the resolution passed by the City Council which calls upon the DOE to include information about this in its Parent's Bill of Rights. 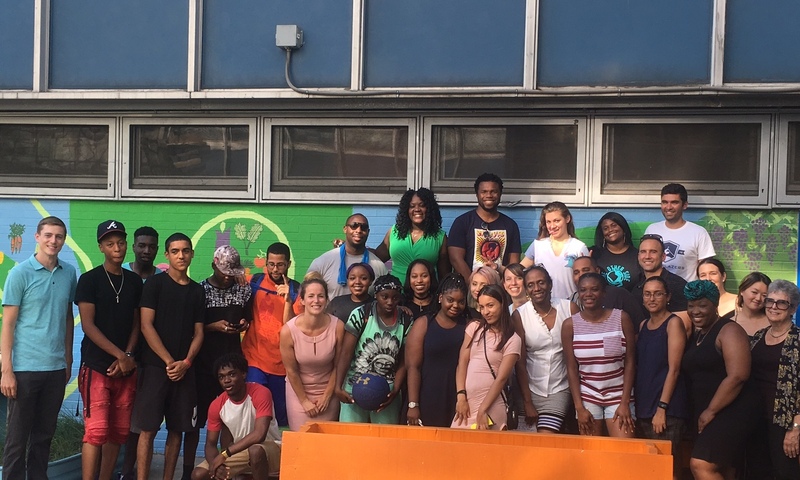 For many of us, the realization that New York City is one of the most segregated public school systems in the nation was appalling, and yet Chancellor Fariña suggested that this problem could be addressed by encouraging wealthy students to become pen pals with poor students in other public schools. After much public pressure, the mayor and the chancellor finally released a diversity plan last spring, yet an analysis by the Center for New York City Affairs found that its goals were so weak they could be met if current demographic trends continue -- without any actions taken. The Panel for Educational Policy, made up of a supermajority of mayoral appointees, is still largely a rubber stamp when it comes to approving excessive contracts and damaging co-locations and school closings. The recommendations of parents and teachers on School Leadership Teams are usually ignored, as is the input of parent-led Community Education Councils. The DOE also suffers from a lack of transparency, and is the least responsive of city agencies when it comes to fulfilling Freedom of Information requests -- taking an average of 103 days to respond. The chancellor insisted on closing meetings of School Leadership Teams, even when a decision by the State Supreme Court concluded that these meetings must be open to the public. She only conceded when the Appellate Court ordered her to reverse course in a unanimous decision. 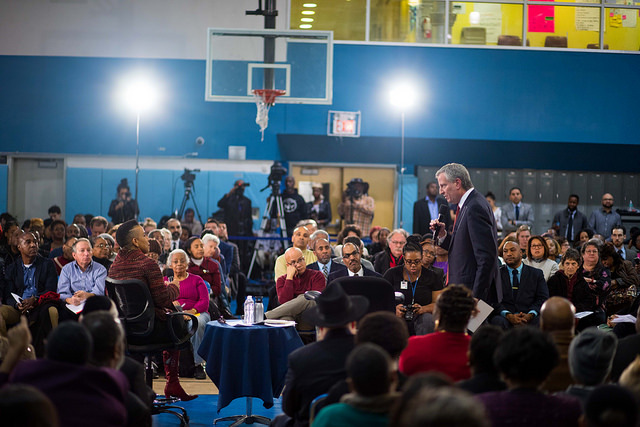 When he took office, Mayor de Blasio promised to listen to parents and community members rather than treat the Department of Education as his personal fiefdom. 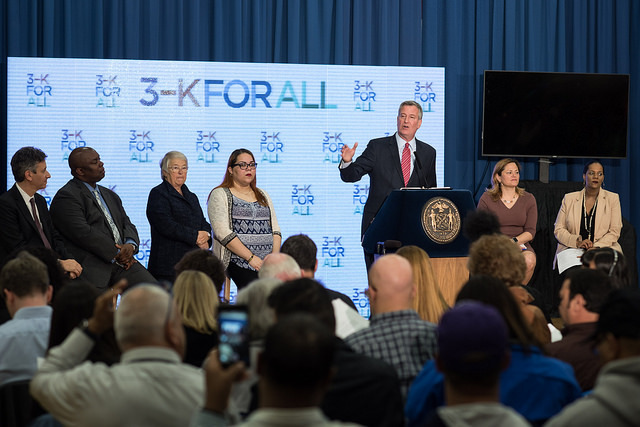 Chancellor Fariña announced she would take a new direction based on a “Framework of Great Schools,” involving collaboration and trust among parents, teachers, and administrators. Yet too often that sense of trust has been broken, and the mayor and chancellor have exhibited a regrettable lack of regard for parent views. We urge the mayor to involve the public in the vetting process for a new chancellor, as he had previously said should be the case. He should announce how individuals can apply for the position, and allow parents and other citizens to ask questions of leading candidates and provide feedback on their responses. In this way, he might be able to redeem his record and raise the chances that our next chancellor will partner with parents and community members to focus on the critical problems that are crying out to be addressed in our schools. Leonie Haimson is the Executive Director of Class Size Matters and Shino Tanikawa is the President of NYC Kids PAC. 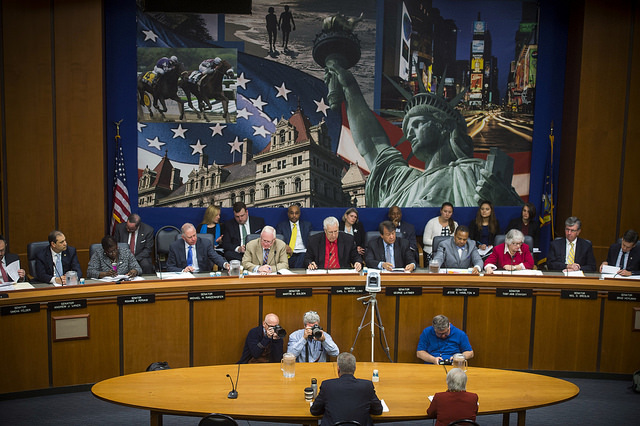 The May 4 hearing in Albany on mayoral control of city schools featured four hours of meandering questioning, polite responses, and a generally cordial atmosphere. There was no major comeuppance despite one seemingly scripted attempt by Republican Sen. Terrence Murphy to chide de Blasio for the investigations he currently faces. Murphy’s staff quickly blasted out a press release about how he had challenged the mayor. Flanagan’s statement on the hearing convinced many Democrats and education advocates that the two May hearings on mayoral control are politically motivated. The de Blasio administration - represented by schools Chancellor Carmen Fariña, but not the mayor - is scheduled to testify again during a hearing in Manhattan on Thursday. Flanagan released a statement Wednesday morning criticizing the mayor for the decision not to testify: "I am extremely disappointed the Mayor doesn't believe this hearing is significant enough to attend," he said. 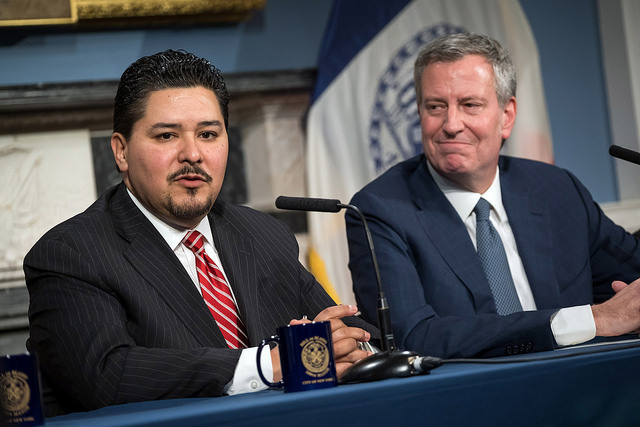 "With the future of mayoral control at stake, Mayor de Blasio has left too many unanswered questions about his stewardship of the New York City school system." The mayor was granted just a one-year extension of mayoral control last year. His predecessor, Michael Bloomberg, was the first to be given mayoral control by the state - which provided an original term of seven years in 2002, followed by a six year extension that was due to expire last year. Testimony for both of this month’s hearings has been “by invitation only” and according to a number of parents, education groups, and Senate Democrats several parents have been told they will not be allowed to testify and instead can submit written testimony. Senate Republicans released a list of those who will testify on Thursday - like the first hearing, it is heavy on charter school supporters and others in the education reform community. On Tuesday, the Assembly passed a three-year extension of mayoral control. The Democratic Assembly Majority had previously supported a seven-year extension. De Blasio issued a statement thanking the Assembly. The three-year extension is seen by many as a concession to Senate Republicans. Some Democrats privately worry that Senate Republicans will push for another single-year extension - something Gov. Andrew Cuomo, locked in an ongoing feud with de Blasio, would likely support, as he did last year. De Blasio was flanked in Albany by city Schools Chancellor Carmen Farina, who will be at the center of attention on Thursday, as well as aides. Republican Sen. Carl Marcellino, the education committee chair who oversaw the hearings in a steady fashion, did not return requests for comment; neither did Flanagan’s office. Krueger expressed her concerns about the process by which people were invited to testify. She and Hoylman said they had heard from parents and parent groups who were told they could not testify in person and were asked to submit testimony. “I hope that the people who testify at round two of the hearing represent parents, teachers, principals and local elected officials,” said Krueger. “They were not heard in Albany at Round 1.” After de Blasio and Farina, many of the speakers at the first hearing were tied to charter schools, which are largely supported by Senate Republicans. De Blasio has been the target of protests and campaigns by charter groups because he has not been a supporter of charter schools and sought to limit their growth. Shino Tanikawa, president of Community Education Council District 2, said she has made multiple attempts to testify as a parent at the upcoming hearing, contacting Marcellino’s office as well as a number of other legislators. She said the last communication was from Marcellino’s office telling her she could submit written testimony. She’s given up on testifying in person. Tanikawa wondered why the hearing isn’t held in the fashion of the City Council where testimony is open to the public and those who sign up to testify do so under a specified time limit. 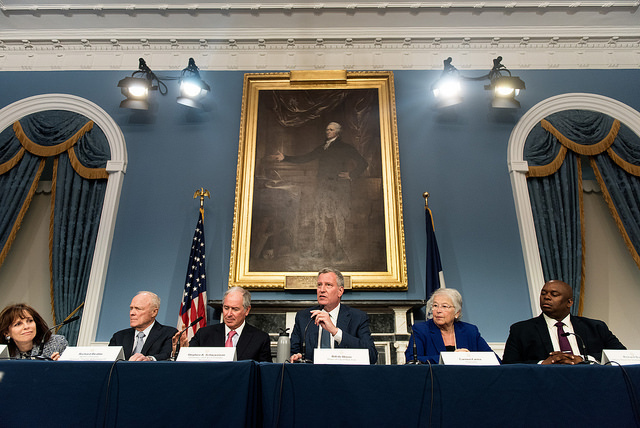 On Wednesday afternoon, de Blasio will lead a press conference at City Hall with business leaders who support an extension of mayoral control. Sen. Hoylman said that although he is appreciative that the Senate is actually holding a hearing on an important legislative issue he is concerned these hearings are being used as political leverage. Note: this story has been updated with news that de Blasio will not be testifying at Thursday's hearing and with comment from Sen. Flanagan.